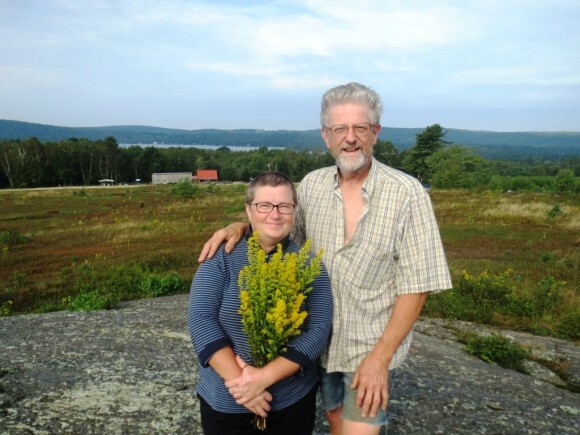 Liberty, Maine–Is it possible for two people in middle-age–late middle age –to change just about every aspect of their lives and find fulfillment in a new life style? I said just about every aspect. Here is what I mean. To change the person they would live with. Where they would live. What they would do for a living. How they would spend their money. And so many other aspects that spin off from these. Well, I know a couple who have done exactly that. And I have just seen them up close in this new life of theirs. Nothing on this earth is perfect, and that’s certainly true of human relationships. But from what I have witnessed of these two, I would say they are happy. In fact, surprisingly happy. I am speaking of Richard and Maria King. Richard is from Deep River, Connecticut, which is my town. Maria is from Poland. They met online and then in Warsaw and quickly became convinced that they shared many aspirations.